Well my friends. This is my FIRST blog post as a college graduate! Yahoo! I can’t really describe the feeling very well because it’s my first time ever feeling this free! From as long as I can remember I have ALWAYS been in some kind of school. So my two days of new found freedom have been a little bit invigorating but a whole lot relaxing. The whole weekend was pretty much insane with event and party after one another. Having my family and friends all-together was something pretty special and super memorable. Being 23, I haven’t had too many of those ‘milestone’ moments besides getting my drivers license and turning 21, but graduating college definitely feels like a milestone… well maybe getting my braces off too… that was pretty good. Summer! Summer! Summer! My happy season! 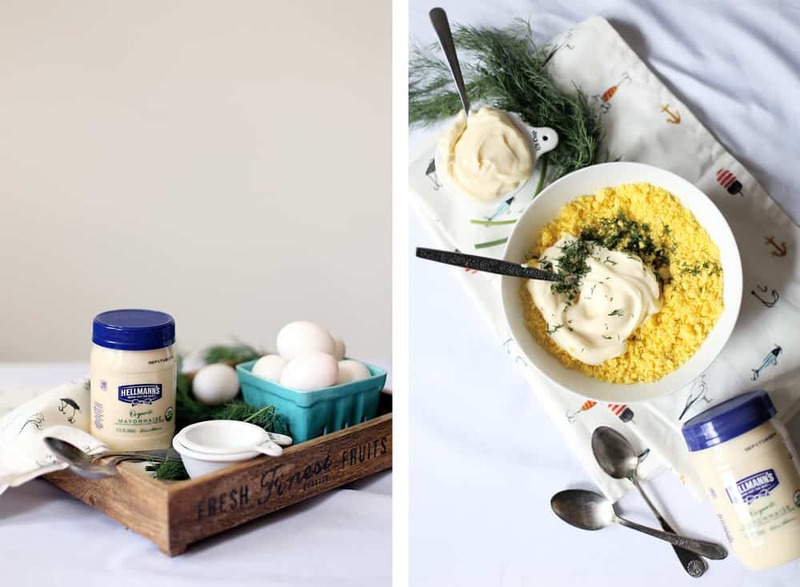 To kick off my first summer recipe here on TWK I have teamed up with Hellmann’s Organic Mayonnaise and the FeedFeed! 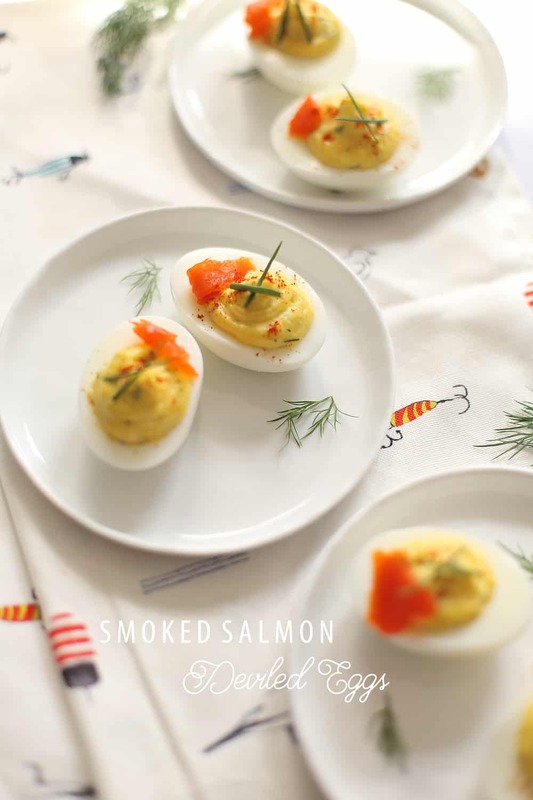 These smoked salmon deviled eggs are SO. DELICIOUS. You know that feeling when you try a new cheeseburger combination and you’re just like ‘why haven’t I been eating this my whole life?” Well that is how you will feel after making these deviled eggs. 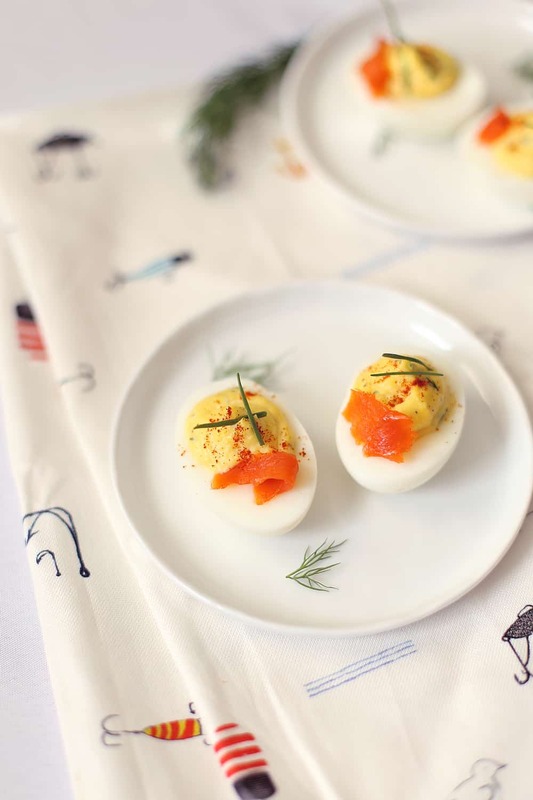 The mixture of smoked salmon and fresh dill is the ultimate brunch deviled egg combo! The consistency is super creamy and rich. 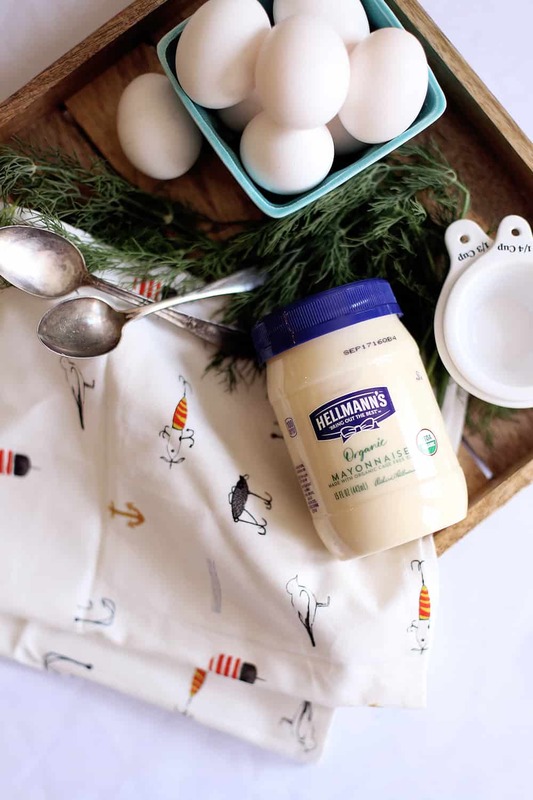 Hellmann’s Organic Mayonnaise gives these deviled eggs a lighter than air consistency. I used original to enhance all of the fresh herbs but they also come in Organic Spicy Chipotle and Roasted Garlic! My next deviled egg concoction will definitely be a spicy chipotle deviled egg because it just sounds way too good not to try! Place eggs in a large pot and cover eggs with water so that there is 1-2 inches of water above eggs. Turn heat on high until boiling, once boiling turn heat on low and simmer for 1 minute. Remove eggs from heat and let sit covered for 14 minutes. Rinse under cold water for 1-2 minutes. Peel shells very gently and slice eggs in half. Separate egg yolks into a medium sized bowl and mash with a fork until crumbly. Add mayonnaise, mustard, fresh dill, salt and pepper (to taste) to crumbly egg yolks. Mix well, if more creaminess is desired add in more mayonnaise. Transfer mixture to a pastry bag and fill egg whites. Garnish with chives, smoked salmon and lots of smoked paprika. Yields 24 deviled eggs. Thank you to Hellmann’s Mayonnaise! This blog post was created in partnership with Hellmann’s Mayonnaise and FeedFeed all opinions expressed are my own!